Edit on March 14th: I’m noticing people coming to this page while searching for info on how to get the Radiant Egg. So while it’s fine and dandy that we have 2x the chance to get a Pegasus until March 20th , what Com2uS SHOULD have given players is 2x the chance to get a bloody Radiant Egg. Phoenix, 9-Tailed Fox, a dragon thing, and a black pegasus. I wonder why the white one isn’t included in the collection? First part of the quest is to give the Phoenix some love as the description reads, “Give Love to Phoenix in Alfredo’s or your friend’s farm once”. Oh sure. NOW he has a Jewelry Tiny Egg! Anyway, the animals are in the middle. Is it just or do the designs of the Phoenix and dragon look like they belong in another game? Second quest is to give the legendary Fox some love and third quest is to love the Dragon. Both of them can either be at Alfredo’s farm or at a neighbour’s. Not really related to the quests but it looks like the Silver Tiny Egg is available for purchase in the Shop. I suppose Com2uS mentioned this everywhere except in the notice screen when the game loads up. Incidentally, it looks like the Jewelry Tiny Egg has been renamed to Radiant Egg. I kind of liked it more when Tiny Farm had the 3 types of eggs. 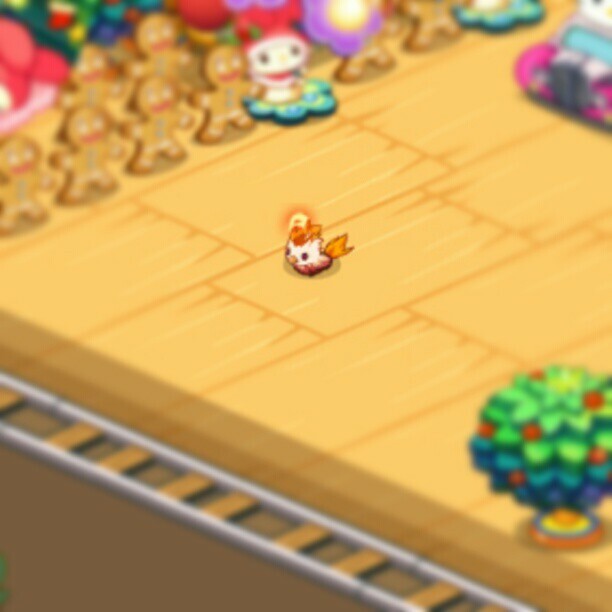 >:/ Now we have to buy the Tiny Egg (or Silver Tiny Egg) and hope that it’ll hatch to become a Radiant Egg. 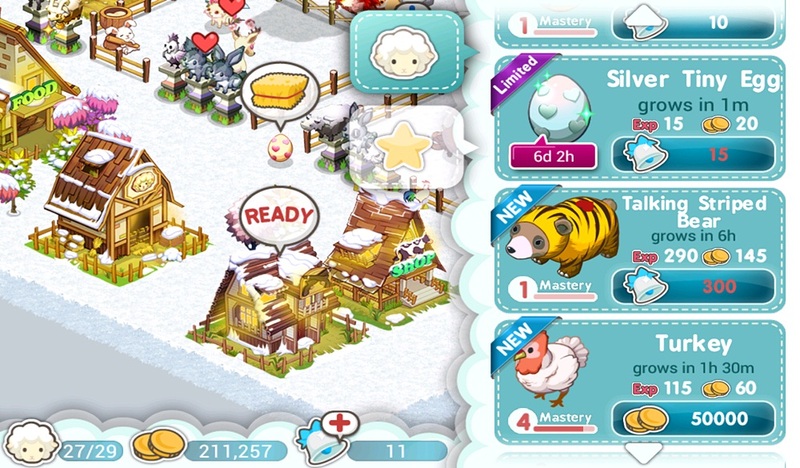 9__9 Guess I should have gotten more Frozen Eggs when I had the chance to try for the Winter Alpaca. Only for sale during this promotion! Fourth (and last?) quest is to find a Black Pegasus and give love to that. 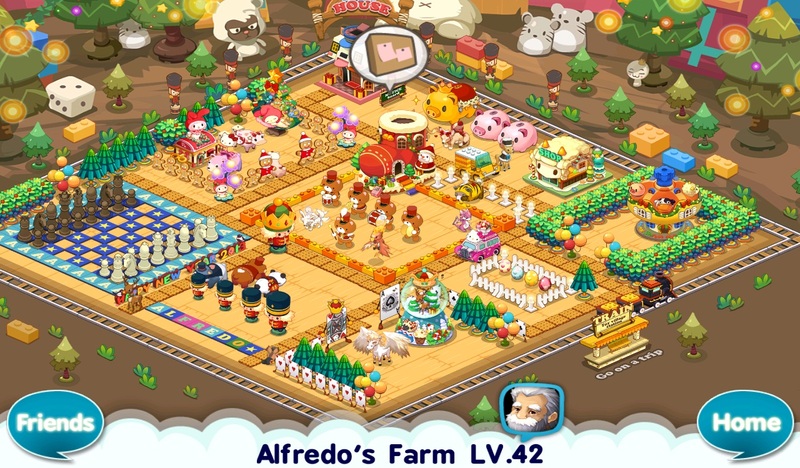 Of course, Alfredo doesn’t have it … It’ll probably show up after the promo though. 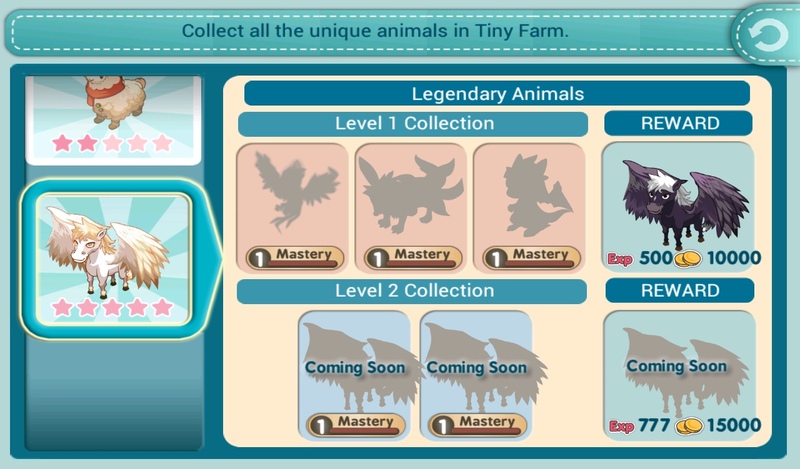 As usual, the Com2uS Tiny Farm forum has a list of users that have the animals you need, including the Black Pegasus. However, keep in mind that there are thousands of people trying to groom them too. My suggestion is to add as many of these users as you can and you may luck out eventually. The Tiny Farm hub is also a good source during these events~! Good luck, everyone!